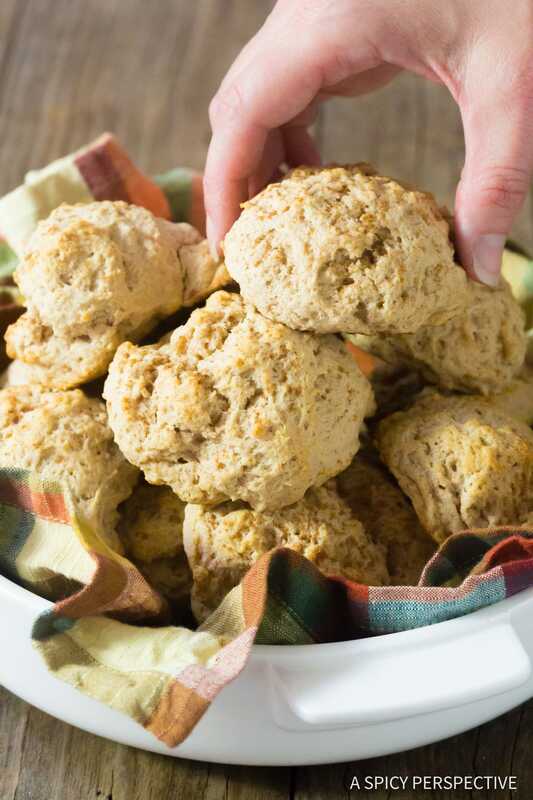 Easy Cinnamon Drop Biscuits Recipe – A fluffy and sweetly spiced quick-bread you can make in hurry! 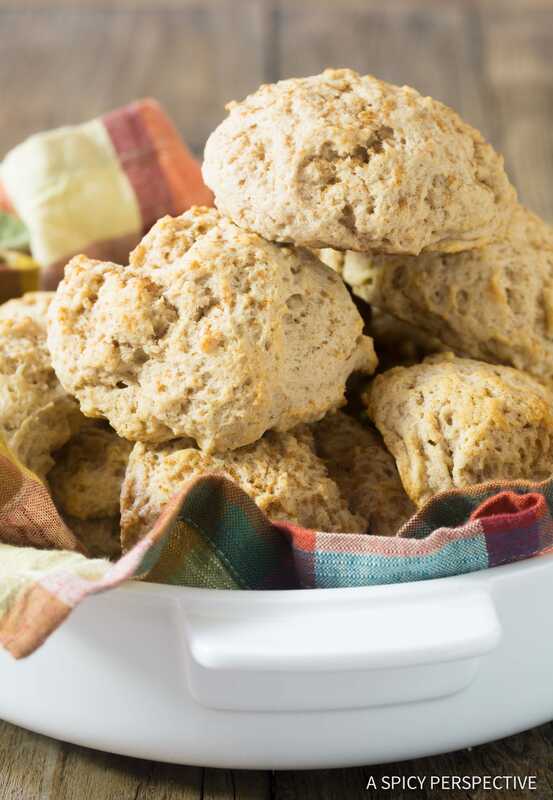 These tender biscuits are a wonderful addition to your holiday table. Fearful bakers, today is your day. Let me show you how to make the easiest fluffiest biscuits to impress your friends and family this holiday season. Biscuits and scones are the first type of bread I conquered when learning to bake many years ago. Falling under the “quick bread” category, there is no yeast or proofing involved. However, you do need to know a thing our two, so your bread comes out of the oven fluffy and tender, instead of flat and dense. First and foremost, your dough MUST go into the oven cold. This allows the exterior to create a crust before the insides begins to bake. Therefore, the crust helps hold the shape of the bread as it bakes up, instead of flattening out on the baking sheets. If you can’t get quick breads into the oven fast, while the butter and milk (or buttermilk) are still cold, it’s important to place the dough back in the refrigerator to chill before baking. Second, it’s extremely important not to over-mix or handle the dough too much before baking. Not only does mixing and handling the dough warm it up, it creates a tougher texture. If you want light etherial biscuits and quick breads, mix the dough just enough and try not to touch it with your hands. I find using a food processor for mixing and a cookie scoop to portion out the dough works best! 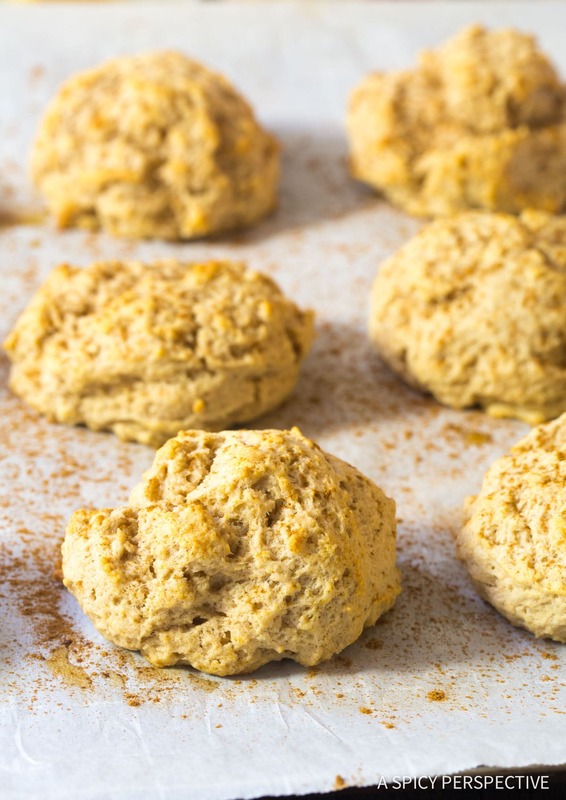 Today’s Easy Cinnamon Drop Biscuits Recipe is a fun twist on traditional savory biscuits. These biscuits are soft and airy, with a touch of sweetness and kiss of cinnamon. 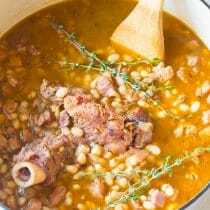 They pair perfectly with all sorts are holiday dishes, from Turkey and Thanksgiving Stuffing to Christmas Beef Tenderloin. 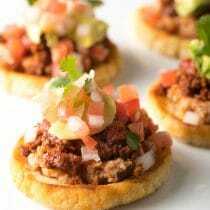 What Is A Drop Biscuit? As with all “drop biscuit” varieties, there is no need to roll and cut the dough. Just scoop it up and drop it on the baking sheet. As long as the dough is still cold when it hits the heat of the oven, you are sure to turn out perfect biscuits. You can even make the dough ahead of time and refrigerate. 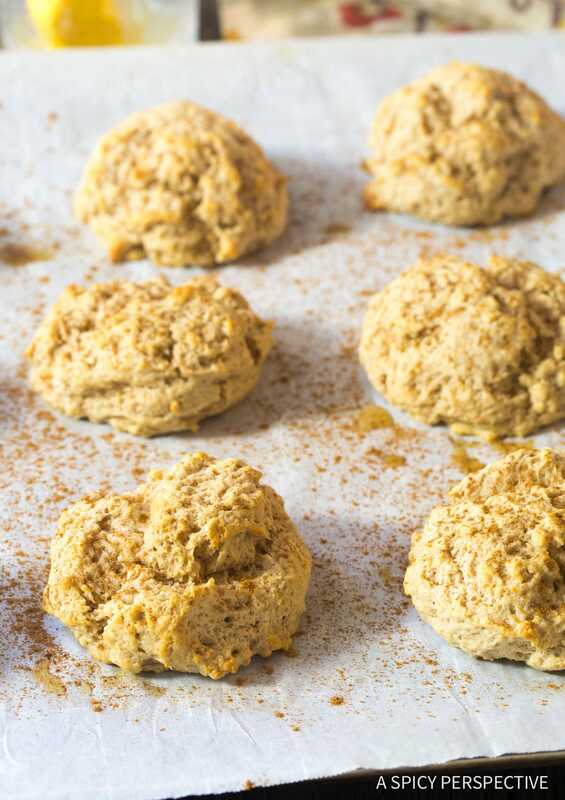 Then scoop and bake the Easy Cinnamon Drop Biscuits when you need them. All purpose flour – When in doubt, always go with “all purpose” flour. Light brown sugar – Brown sugar is soft and fluffy and needs to be packed into the measuring cups for proper portioning. Always pack brown sugar when measuring, unless the recipe states otherwise. Baking powder – To lift your biscuits. Ground cinnamon – The star of the show! Salt – All baked goods taste better with a touch of salt. Unsalted butter – Always buy unsalted butter for baking, then add salt as needed. This is a quality-control technique to produce better baked goods. Whole buttermilk – In a pinch, whole milk + a teaspoon of vinegar or lemon juice can be substituted for buttermilk. Mix the vinegar into the milk and let it sit for 5-10 minutes before using in a recipe. Vanilla extract – To add that little extra something. 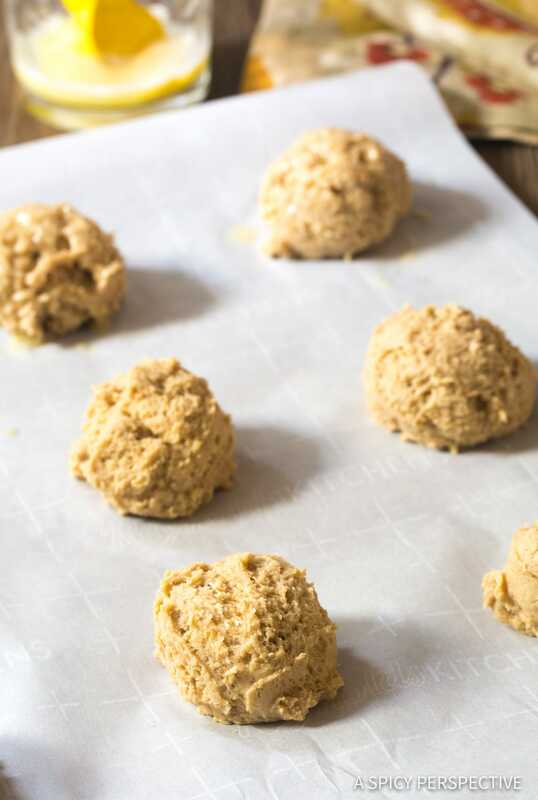 Biscuit Prep – Always preheat the oven so it is piping-hot when the biscuits go in. Lining the baking sheet with parchment paper ensures the biscuits puff up (instead of spread) and also come off the baking sheet easily. Divide the Butter – One stick of butter should be cut into cubes and placed back in the refrigerator to keep cold. Then melt the remaining 1/4 cup butter in the microwave or on the stovetop. Allow the melted butter to cool to just above room temperature. That way, it is melted enough to brush over the biscuits, but not warm enough to heat them up. 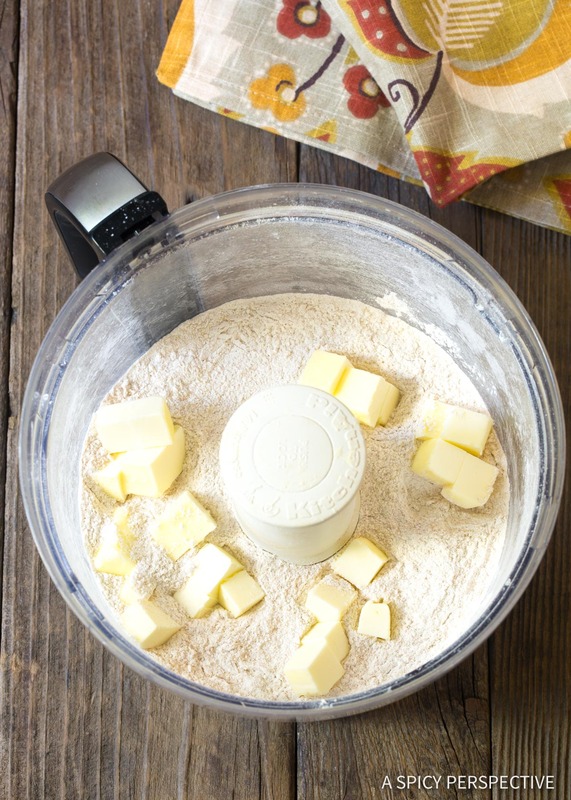 Mix the Dry Ingredients – Place the flour, brown sugar, baking powder, cinnamon, and salt in a food processor. Pulse to combine. Then add the cold butter cubes, and pulse until the cubes are cut down to pea-size pieces. Add the Wet Ingredients – Add the buttermilk and vanilla extract. Pulse until the mixture comes together into a smooth ball. 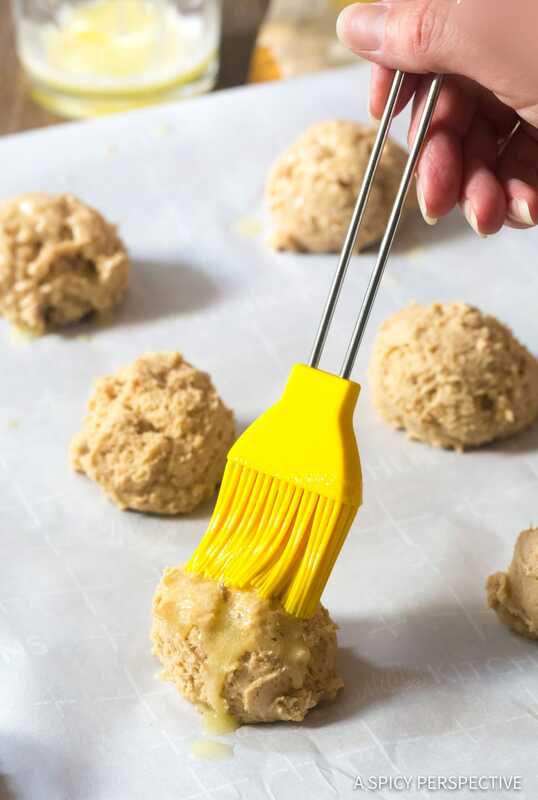 Portion Hands-Free – Scoop the cold dough, with a 3 tablespoon scoop, onto the baking sheet. Work fast! Bake! – Bake the biscuits in high heat until golden around the edges. 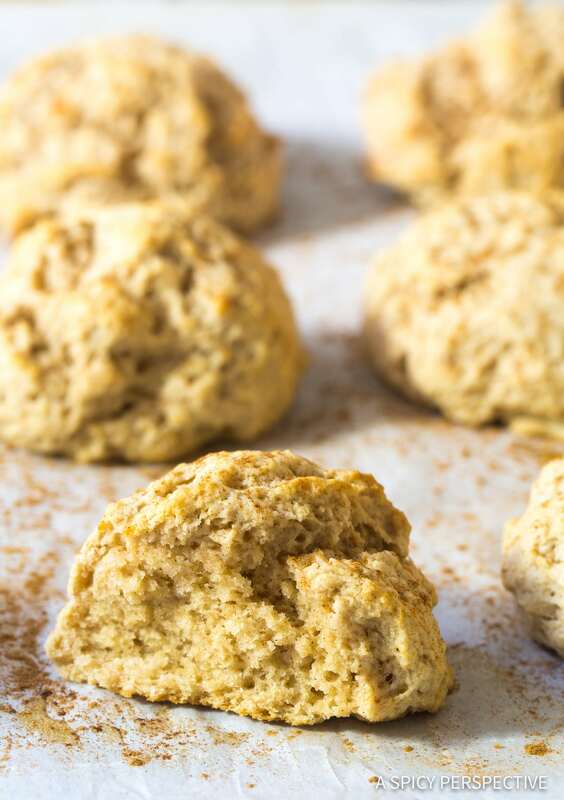 Get The Full Easy Cinnamon Drop Biscuits Recipe Below! Check Out Our Easy Cinnamon Drop Biscuits Recipe Video Tutorial! 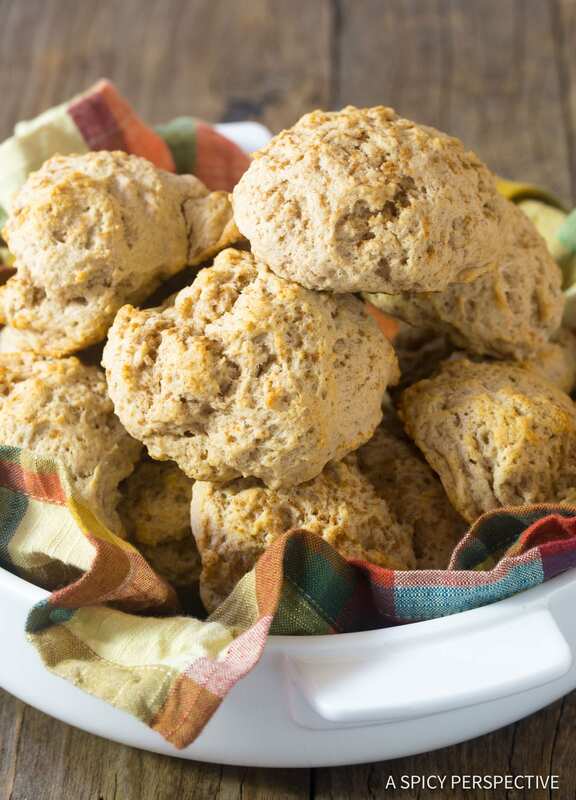 Easy Cinnamon Drop Biscuits Recipe - A light fluffy sweetly-spiced quick bread for the holidays! 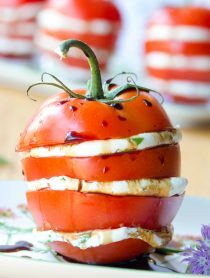 Serve with butter or chocolate spread. 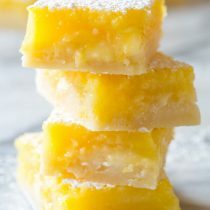 Cut 1 stick (1/2 cup) butter into cubes. Place back in the refrigerator to chill. Melt the remaining 1/4 cup butter in the microwave or on the stovetop. Allow it to cool to just above room temperature. Place the flour, brown sugar, baking powder, cinnamon, and salt in a food processor. Pulse to combine. Then add the cold butter cubes, and pulse until the cubes are cut down to pea-size pieces. Add the buttermilk and vanilla extract. Pulse until the mixture comes together into a smooth ball. While the dough is still cold, use a 3-tablespoon scoop to measure out 14 biscuits. Arrange them on the baking sheet with room to spread a little. Quickly brush the melted butter over the tops and place in the oven. Bake for 10-12 minutes, until golden around the edges. Sprinkle the tops with extra cinnamon, if desired. 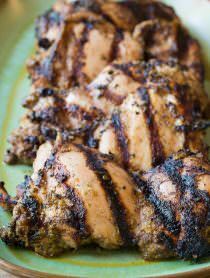 Serve warm, or within 2 hours. For convenience, you can prep the dough up to a day ahead and place it in the refrigerator. When ready to bake, preheat the oven and portion the dough out onto baking sheets. OMG these make my house smell soooooo good! 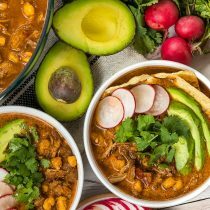 I bet these would be so good with some chili! I can’t wait to try them! I also bet my kids will love them! 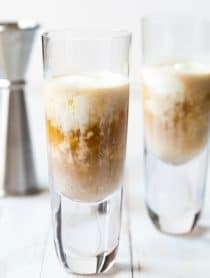 These are so festive and crazy easy! I love everything about this! So good, and the cinnamon is a nice touch! I love the cinnamon twist on these biscuits….and the baking tips ensure perfect biscuits every time!